Hi everyone! 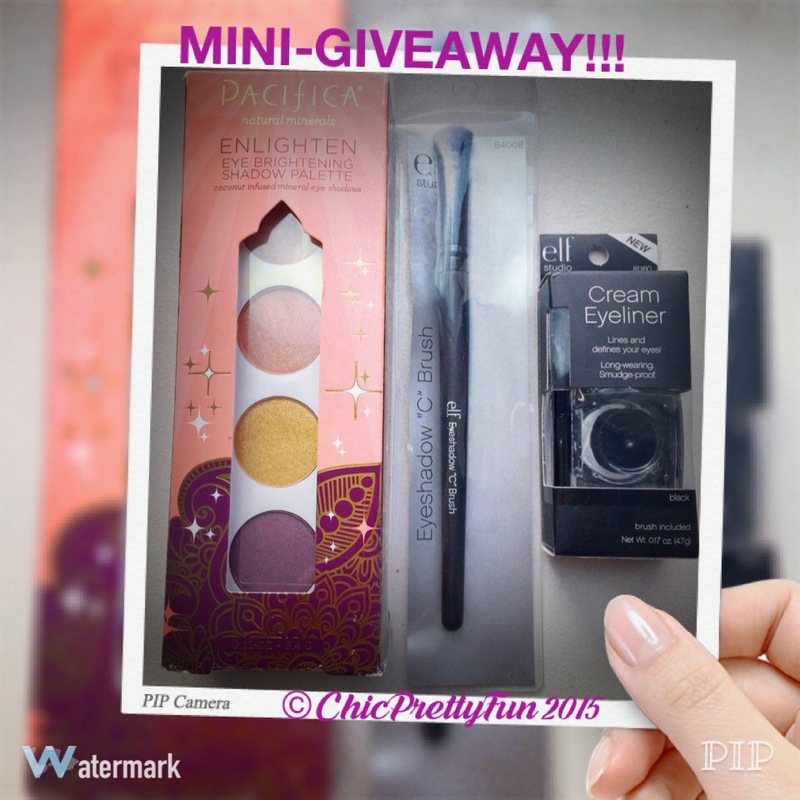 I’m hosting a mini-giveaway since Chic Pretty Fun reached 100 followers on Instagram. If you participate you can win the following makeup: a Pacifica Brightening Eye Shadow palette, an e.l.f. eyeshadow brush and an e.l.f. cream liner in black. Follow the rules below to enter. Good luck! You have to be subscribed to this blog (scroll down to the bottom of the homepage and enter your email). Follow Chic Pretty Fun on Instagram (chic_pretty_fun). Like this picture on Instagram and tag a friend. That’s it! The Mini-Giveaway end on Sunday 9/13 at 11:59 p.m. You have to be 18 and over to participate. Previous Post We work hard for the money…so let’s take advantage of these Labor Day Sales! Hi there! I’ve decided to extend the mini-giveaway deadline to 8 p.m. tonight! Follow me on Instagram for a chance to win this awesome makeup! Good luck!! !